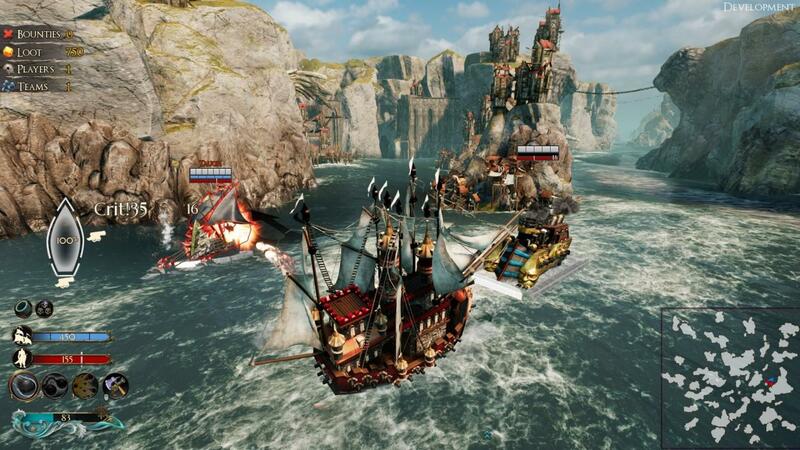 Enemy ships can be rammed, grappled and boarded! A clever captain at sea will become a wealthy captain on land. 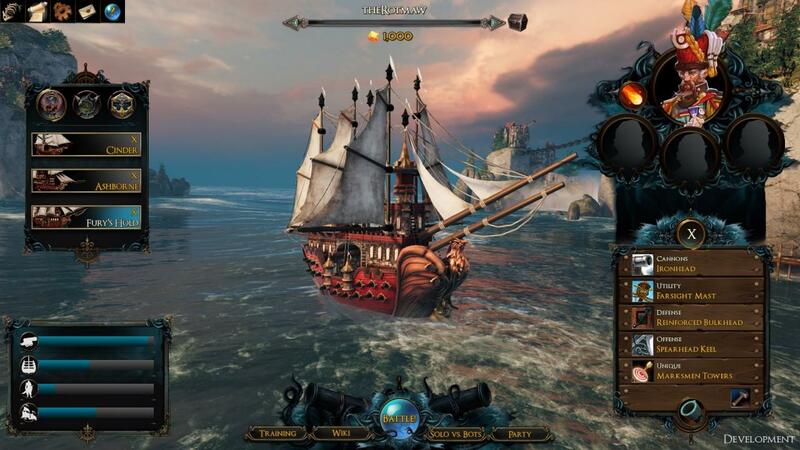 Skillfully maneuver yourself through the swelling sea and prepare your ship for ramming. 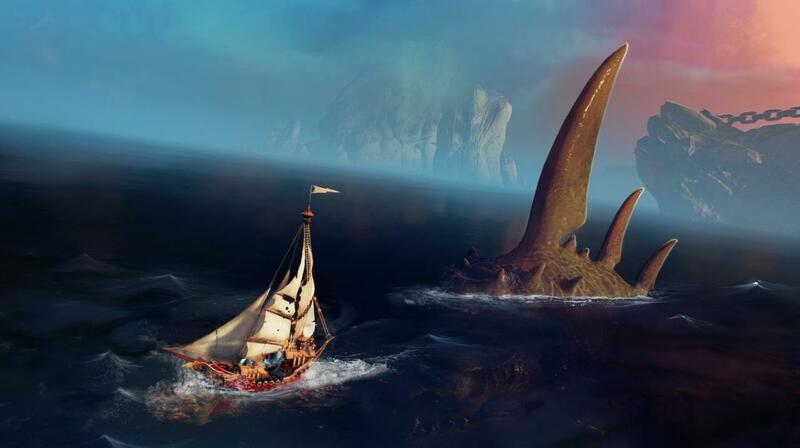 The faster the ship is moving the more devastating the collision will be on impact! Looking for a friendlier approach? Hold both ships in place while crews fight it out. Grapples will be cut eventually, so boarding actions only last a short time. 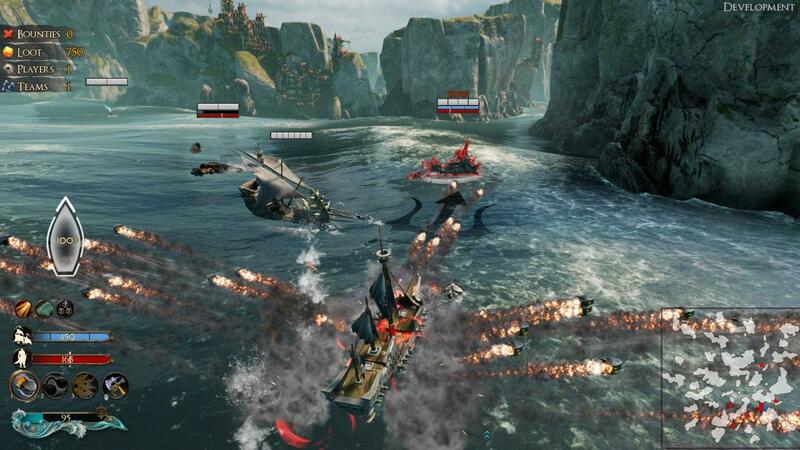 If one crew manages to kill all of the opposing crew, they will set fire to the enemy ship, sending it to the depths! Each ship has armor on all four sides. The armor sections serve as additional defense toward damage to that side and must be destroyed before the ship's hull can be damaged. Maneuvering to keep your armor between you and your enemy is vital to staying afloat - and seeking the enemy's damaged sides will make you much more lethal in combat!Every cannon has access to three kinds of ammunition and can swap during combat to suit the situation. Ammo is unlimited. Chain shot is used to shred enemy sails and cripple a ship’s speed. 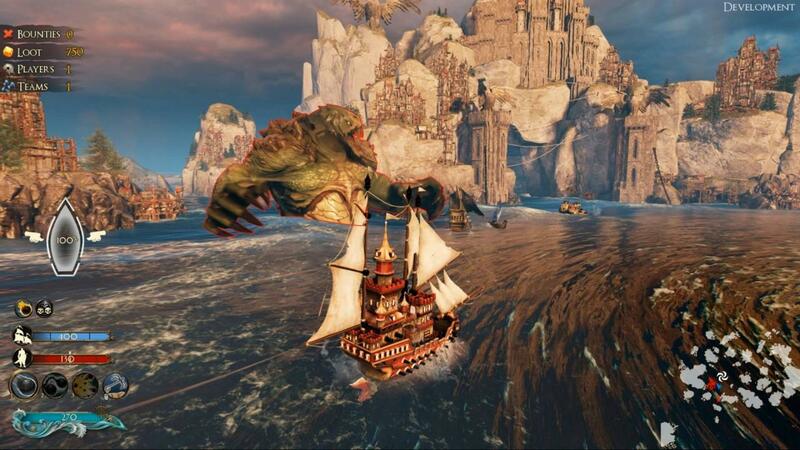 The shark-driven ships of the orcs are incredibly maneuverable, and have a large number of forward-facing cannons making them deadly on the pursuit. 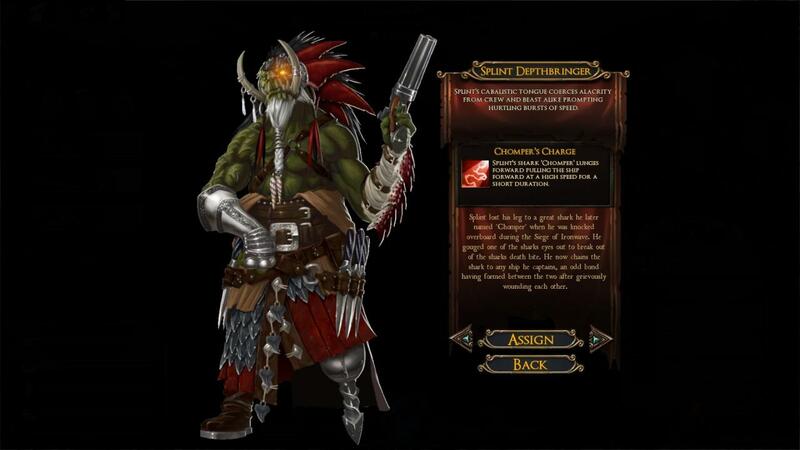 The orcs themselves are ferocious fighters, unmatched in combat during boarding actions.